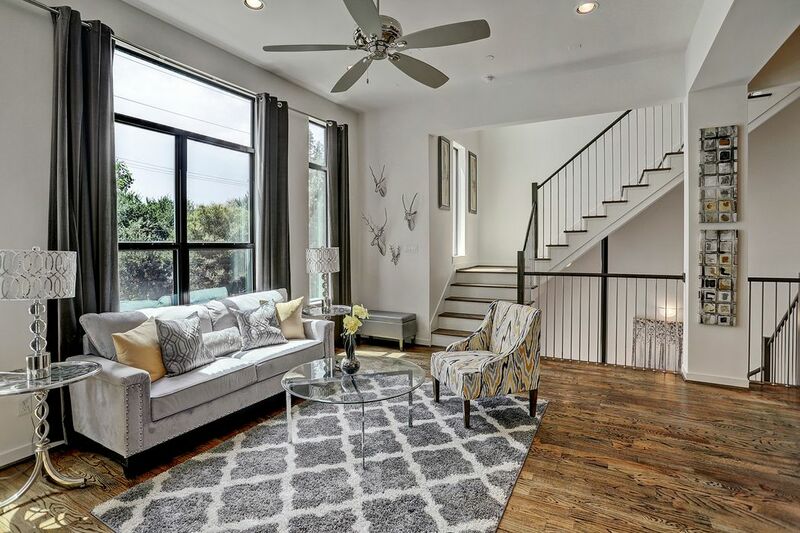 1614 Hazel Street, Houston, TX 77006 | Martha Turner Sotheby's International Realty, Inc.
[Living Room 18 x 17] Located on the second floor, the living room offers an open gathering space that includes a powder bathroom and direct access to the professionally-equipped kitchen. [Kitchen 18 x 12] The spacious kitchen includes granite counter tops, a large island that serves as a breakfast bar, and a dining area. A view of the living room towards the staircase that leads to the master suite and utility room. 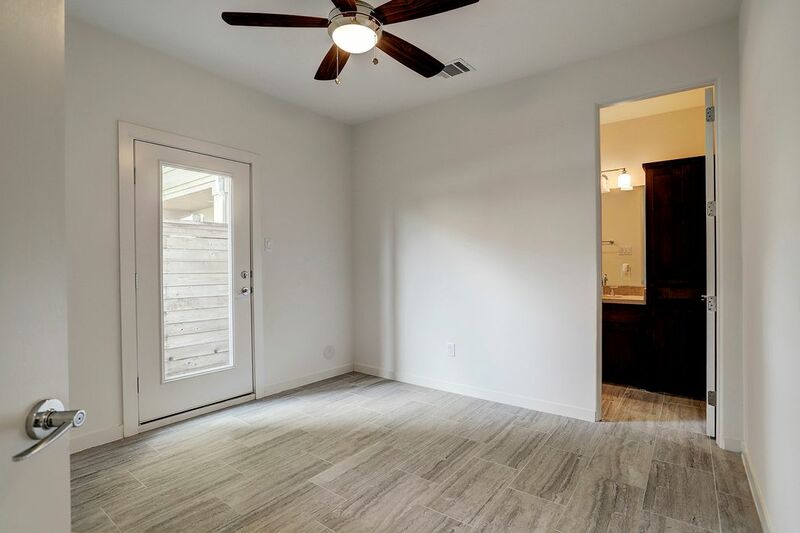 [Powder Bathroom] The elegant half bath is nestled on the second floor adjacent to the living room. [Master Bedroom 18 x 13] The third floor master suite in complete with hardwood floors, a beautiful en-suite master bathroom and a ceiling fan. 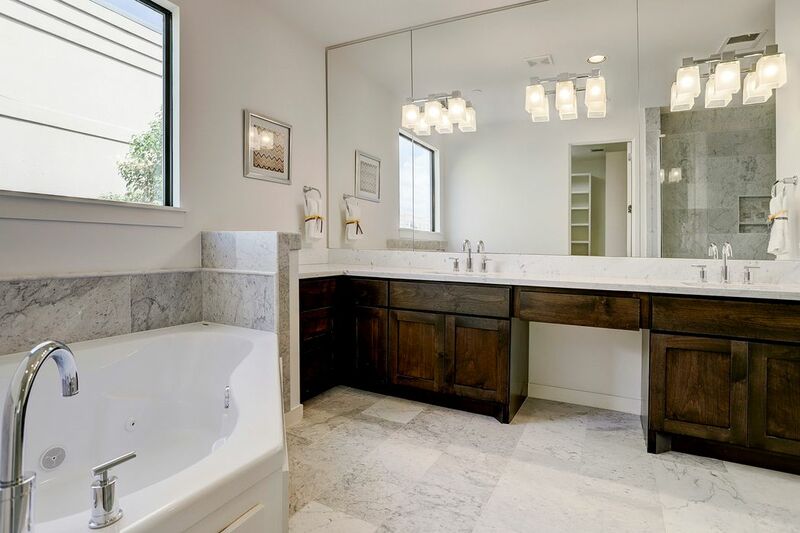 [Master Bathroom] Included in this stunning master bathroom : a jetted tub, double sinks, a custom fitted walk-in closet and an over-sized glass-enclosed marble shower. 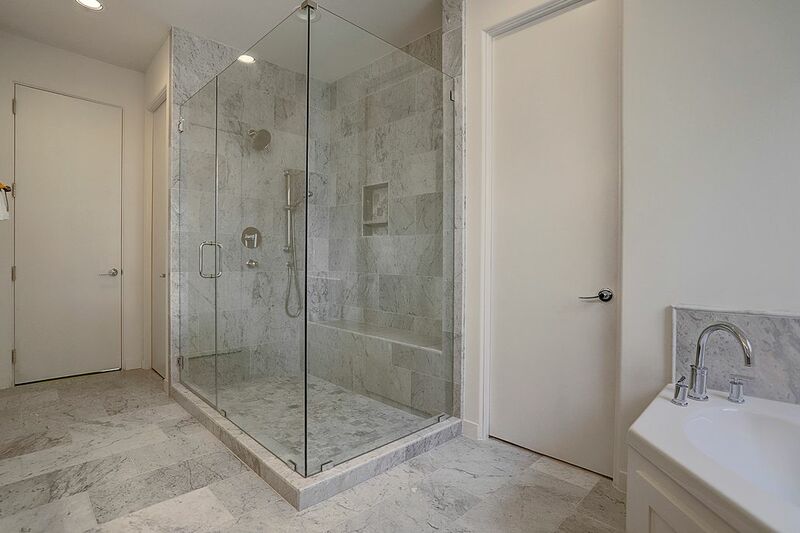 The marble-clad master bathroom includes sleek fixtures and high-end finishes. 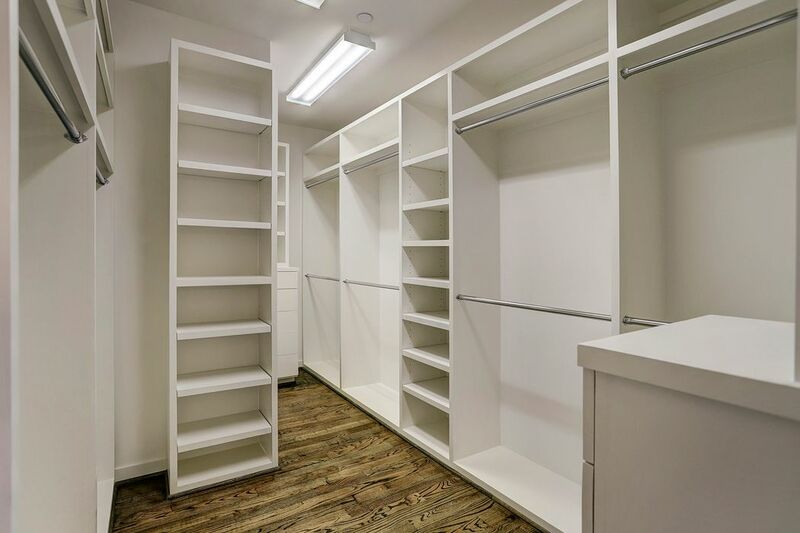 With custom built-ins and hanging rods, the master closet is spacious and has a great amount of storage. [Second Bedroom 13 x 11] Located on the first floor of this stunning home, this bedroom has it's own en-suite bathroom and glass-faced door leading to the outside. 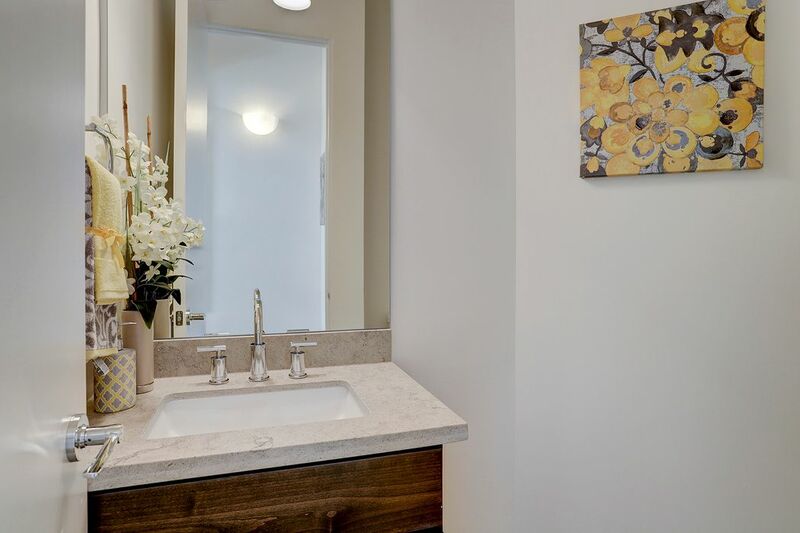 [Second Bedroom Bath] Included: granite counter tops, a glass-faced marble shower with an inlaid stone floor, and under counter storage. 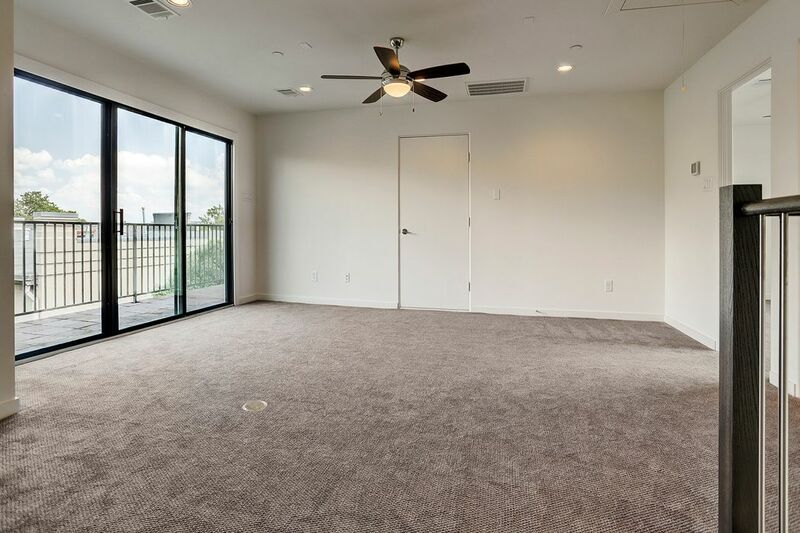 [Game Room 16 x 15] The top floor of this never been lived in home creates a stunning entertainment space, a wide balcony with gas connections, and the third bedroom. 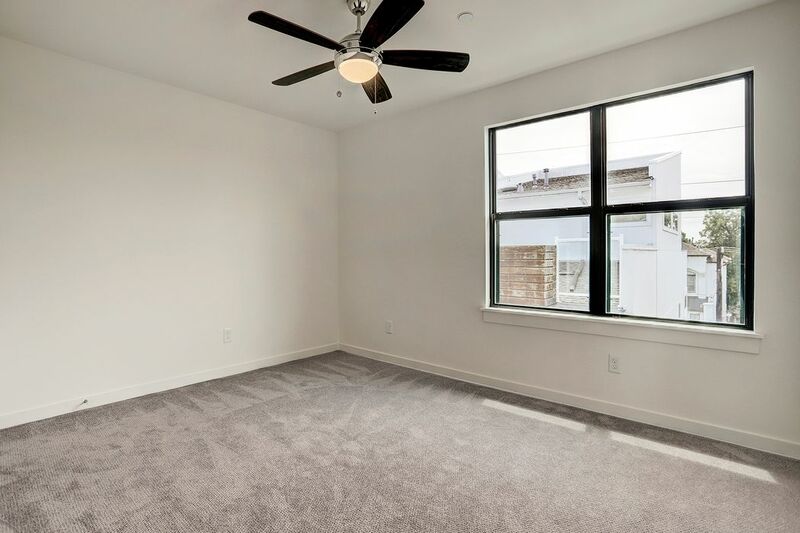 [Third Bedroom 12 x 11] The third bedroom could be alternatively used as an exercise room, a study, a home office, or a guest suite. 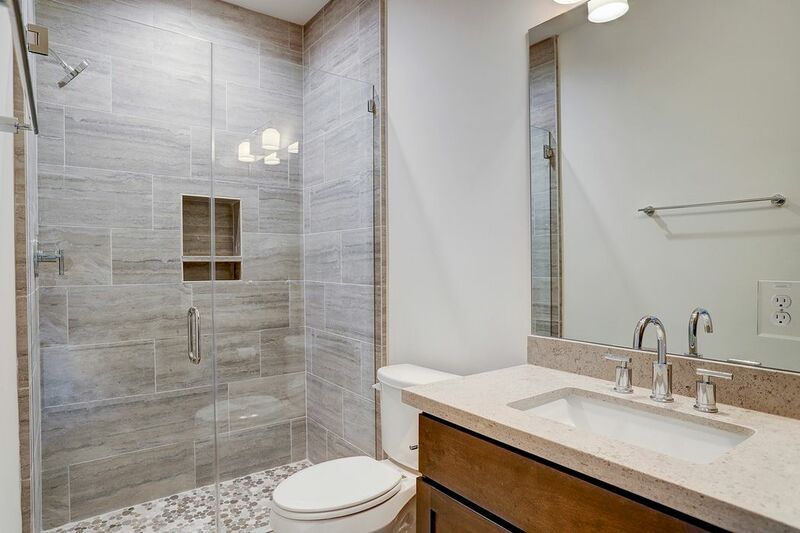 [Third Bedroom Bath] The full bathroom is complete with granite counter tops, a glass faced shower with an inlaid stone floor, and an ideal amount of counter space. 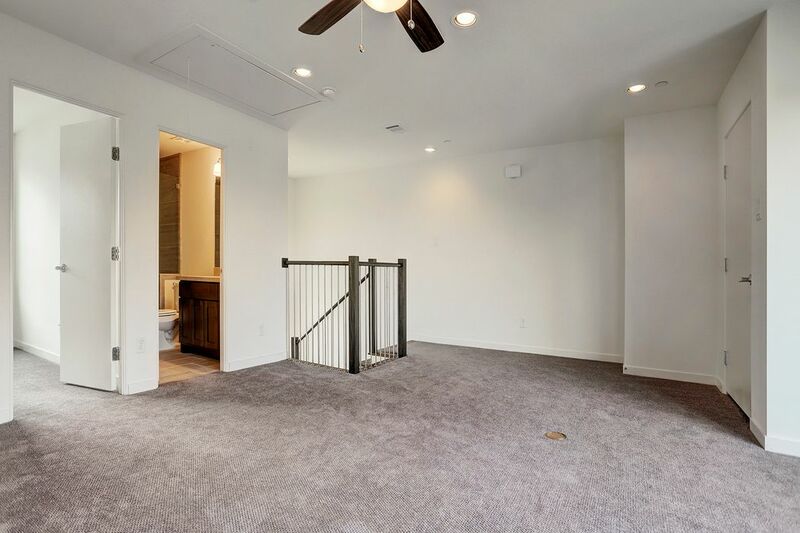 A view of the Game Room from the stairs. The Game Room and Third Bedroom share a full bath. Shown on the Right: the elevator shaft that extends from the first floor to the fourth floor. 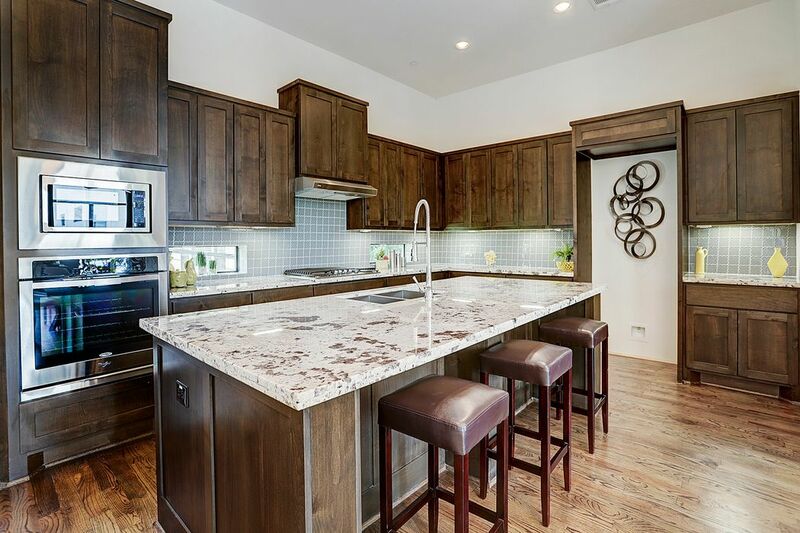 The gorgeous granite counter tops, custom cabinetry, and professional grade appliances create the perfect space for entertainment or leisure. 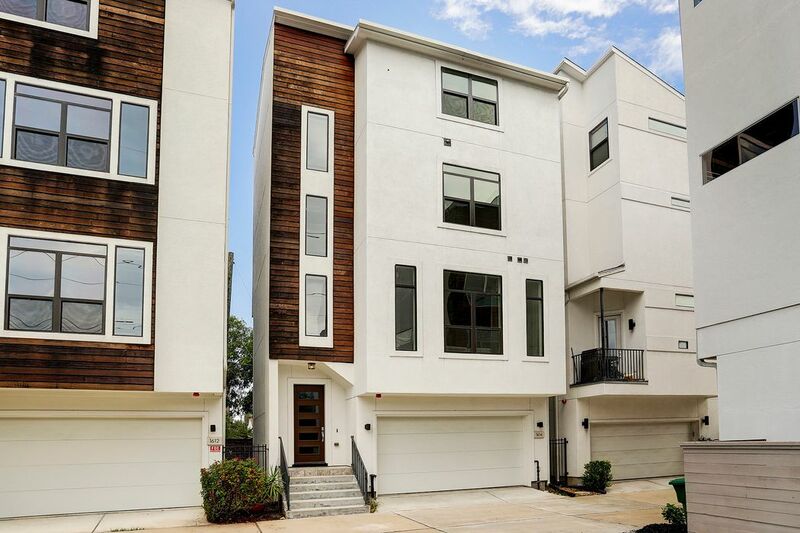 $585,000 3 Bedrooms3 Full / 1 Partial Baths2,864 sq. ft. 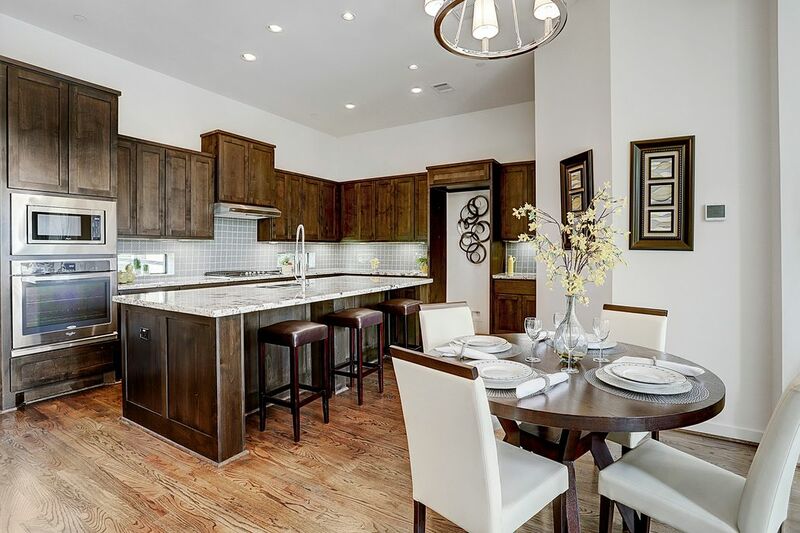 Exceptional Modern home, built by John Wawrose of Brookstone Homes, secluded in a small luxury enclave has a light-filled open floor plan, tall ceilings, hardwood floors, custom millwork, and high-end finishes and fixtures. Elevator-capable closets on all floors. 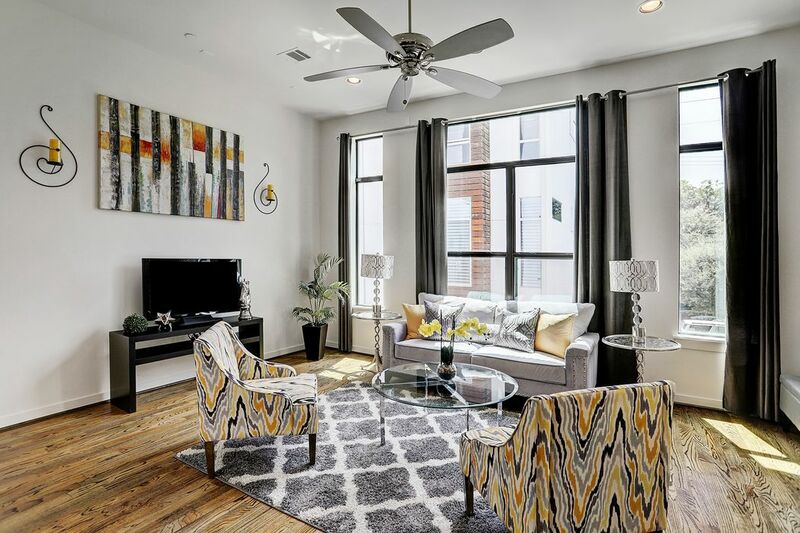 First-floor offers an opaque glass and wood front door; marble floors; a bedroom or study with walk-in closet; bathroom with marble floor, granite countertops, and glass- and-marble shower with inlaid stone floor; and a glass door to side yard. 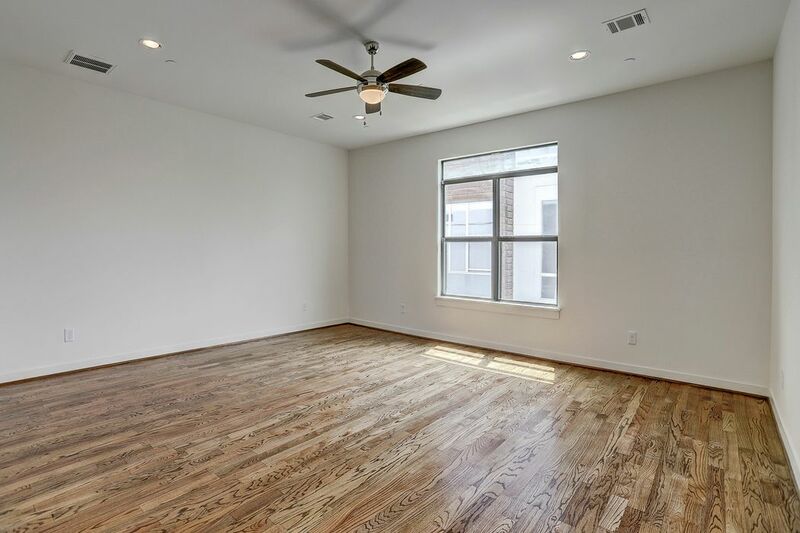 Main floor offers an open gathering space with professionally-equipped kitchen with large island; spacious living and dining room surrounded by windows; and powder room. 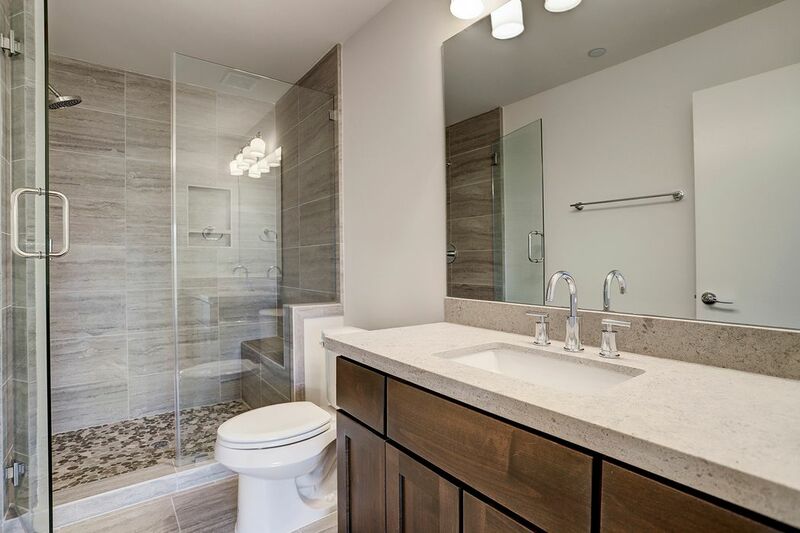 Third-floor has laundry and the master suite with marble-clad bath with oversized, glass-enclosed marble shower; jetted tub; custom-fitted walk-in closet. 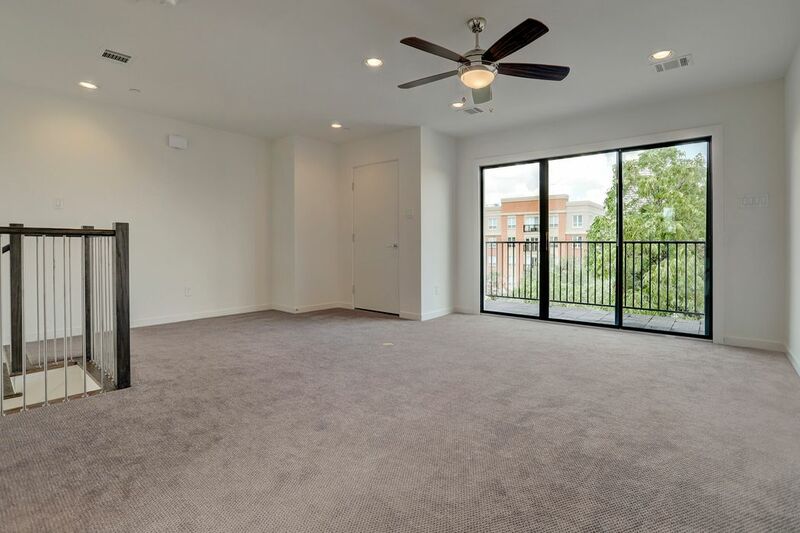 Fourth-floor has a game room with a full bath and a wide balcony with gas outlet.